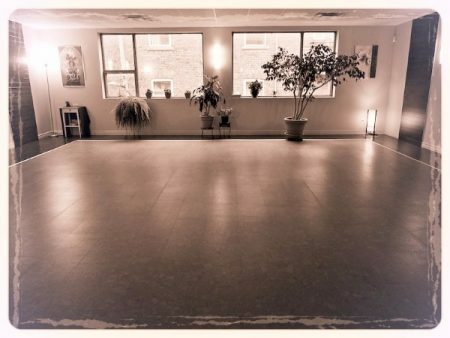 Hatha Yoga Shala is available to rent for workshops, private sessions or group classes. We are located on the second and top floor at the back. Well lit, intimate and clean, Hatha Yoga Shala offers you an ideal space for your courses of Yoga, Qi Gong, meditation, rehearsals or personal creation projects. Studio for rent in Mile end, 15 minute walk from the metro station Laurier and access to several bus lines and main streets. Reserve your dates now for courses and workshops! Please contact Rhonda at 514-813-2660 or by email for pricing and more information.